Our photography class from the Los Angeles Center for Photography went on a field trip to Union Station. 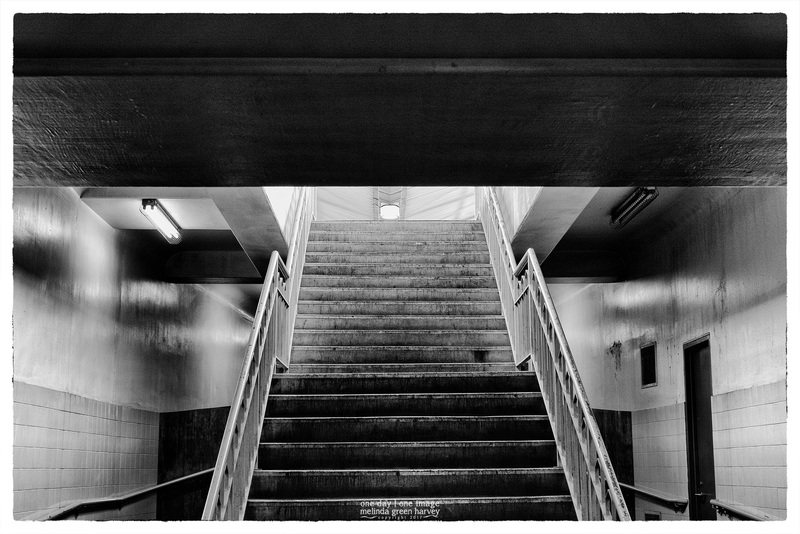 That’s where I found this scene, of stairs and ramps leading to the train platform. This shot and this one are thematically related. At least to me. And I may not be really all that reliable. Posted on April 16, 2017, in Photography and tagged 365 photo project, architecture, black and white photography, LACP, learning to see, Leica, los angeles, Los Angeles Center for Photography, melinda green harvey, monochrome, one day one image, photography, postaday, thoughtful seeing, Union Station. Bookmark the permalink. 2 Comments. After a long break – moving, selling/buying home and much more – I’m back……. I like the abstract look of this, too. I was very happy with the way the very rigid scene of stairs and ramps and lights transformed itself for me!